Jonathan Pryce, Glenn Close, and Christian Slater star in Björn Runge’s adaptation of Meg Wolitzer’s bestselling novel about Joan Castleman (Close), who begins to re-evaluate her marriage to her author husband, Joe (Pryce), on the eve of his Nobel Prize presentation, and starts to grapple with her own long-dormant literary aspirations. 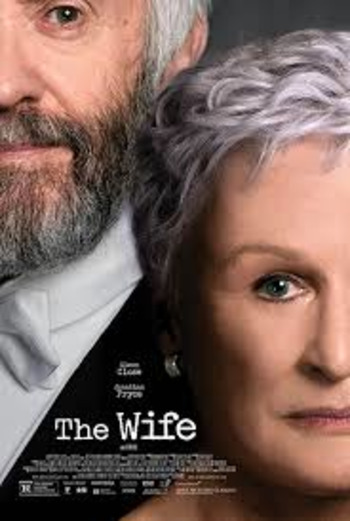 An incisive study of celebrity, marriage, and the creative process — as well as a showcase for the talents of acclaimed actors Close and Pryce — The Wife explodes the old notion that behind every great man stands a great woman. Joe Castleman is being given the Nobel Prize for Literature, and he and wife Joan couldn’t be happier. But from the moment the couple arrives in Stockholm, tensions rise. A nosy, insistent would-be biographer (Slater) is loitering in the hotel lobby, an attractive young photographer opens old wounds regarding past indiscretions, and Joe and Joan’s son David (Max Irons), eternally irked at living in his father’s shadow, sulks through the celebrations.